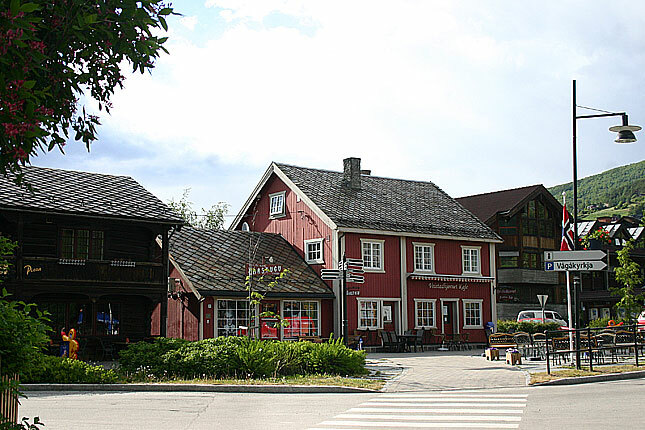 Vågåmo is located just 30 kilometers west of Otta is is the administrative centre of Vågå municipality, in Oppland county. 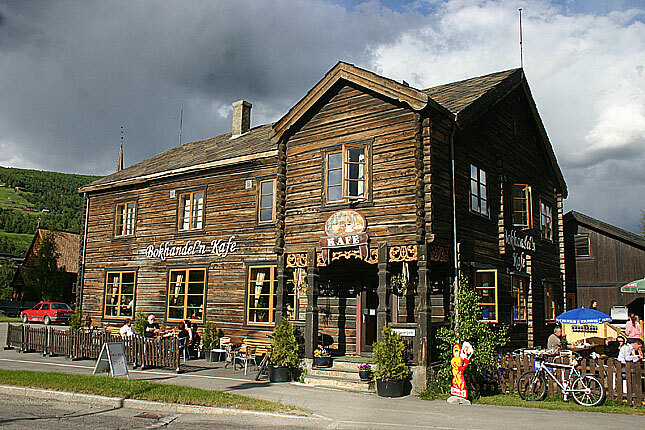 Population is around 1500 people and the community is located at the outlet of Lake Vågåvatn in the Otta valley. 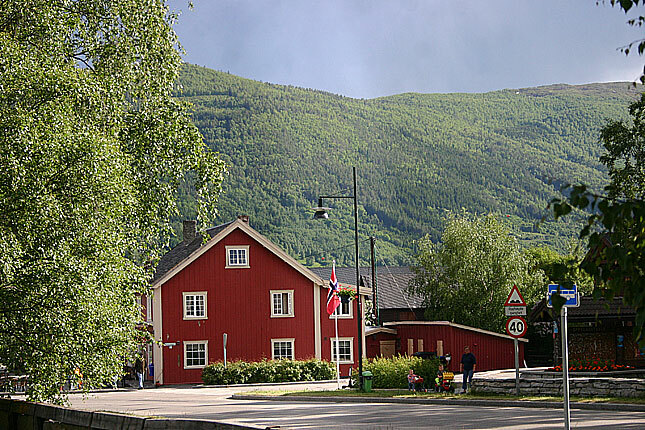 The Otta River and Highway 15 pass very close the village. 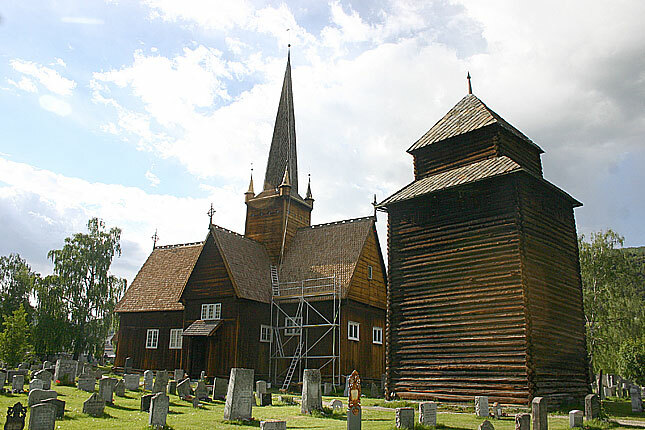 The church, which is open to visitors and well worth a visit is one of the oldest stave churches in Norway and it is originally constructed in the 12.th century. 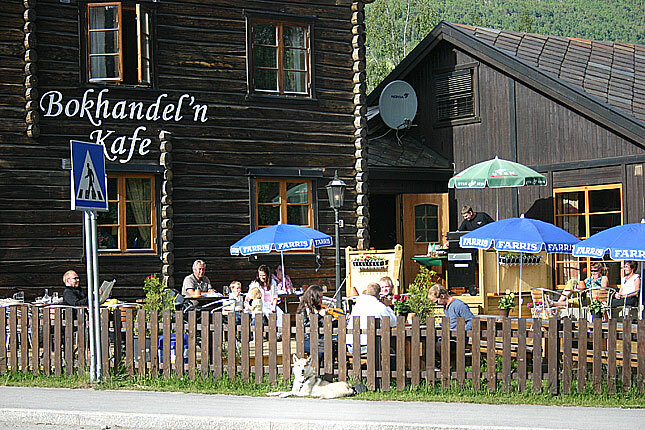 At the time I visited the community a violin maker was trying out his latest intrument and it was an entertaining moment for the visitors in the local café. 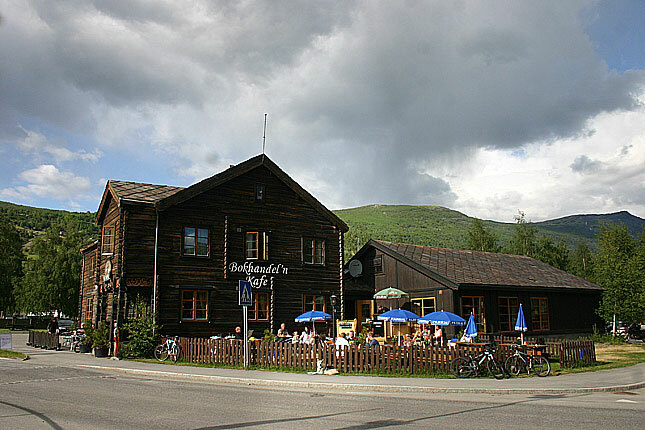 These communities in the country side is very much alive and these treats are mostly welcome to any visitors. 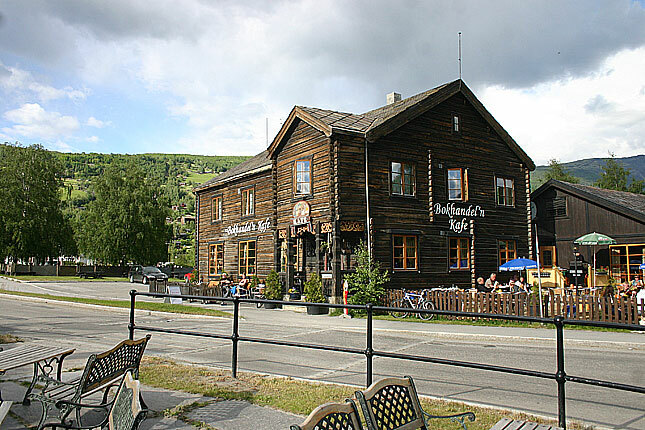 An ancient trade route passed up from Sunnmøre through Lom and Skjåk and down the Gudbrandsdal into the Østlandet. The trade consisted of fish and salt heading inland, and grain heading to the coast. 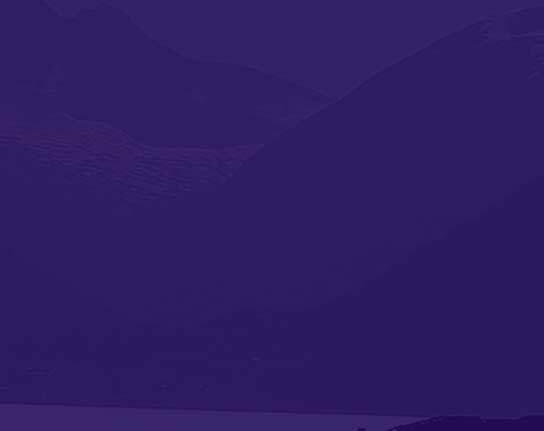 The Saga of Olaf Haraldson relates that St. Olaf commented as he first looked down on Lom, “What a pity to have to lay waste to such a beautiful valley.” In the face of such a clear motivation, the residents of the valley converted. 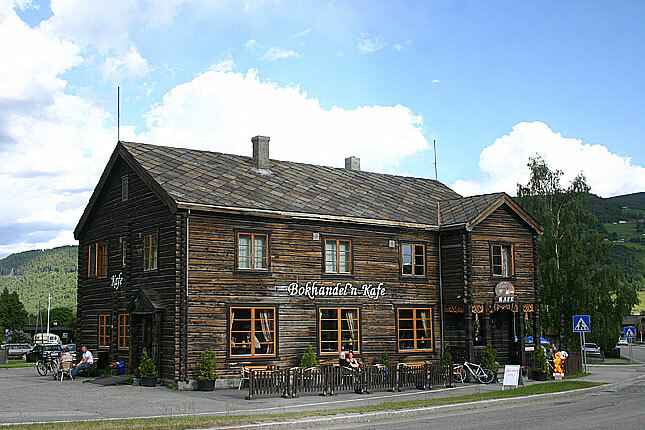 St. Olafs-stuggu, a building were St. Olaf is reported to have spent a night in 1021, can still be found here. 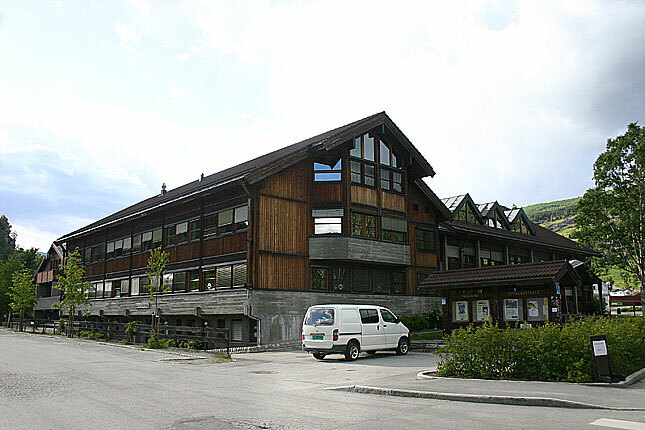 The building is part of the Presthaugen District Museum. 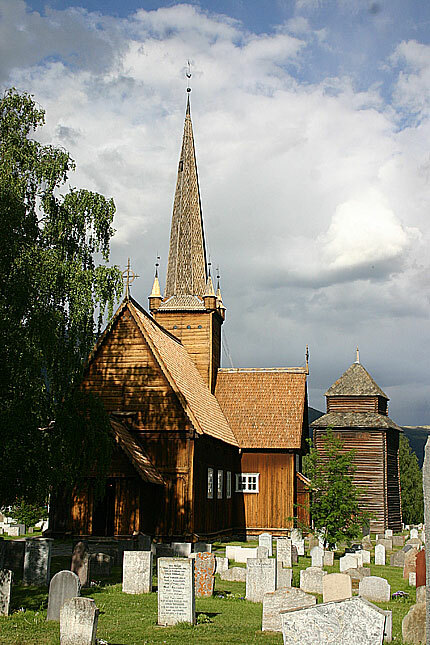 Lom stave church, which is located at Lom center, was built around 1150 - 1200. 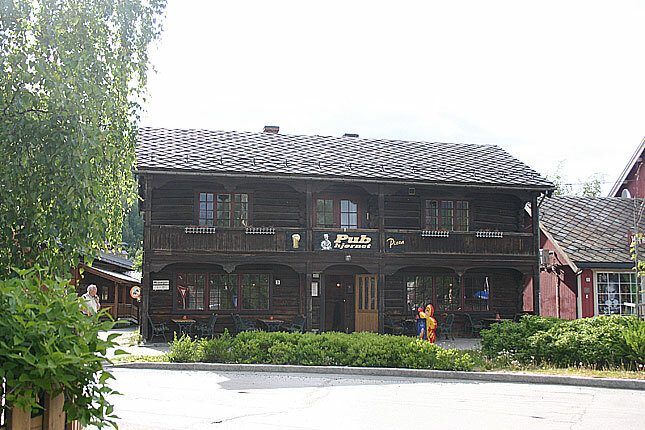 It was extended in 1634, with further addition of two naves in 1667. 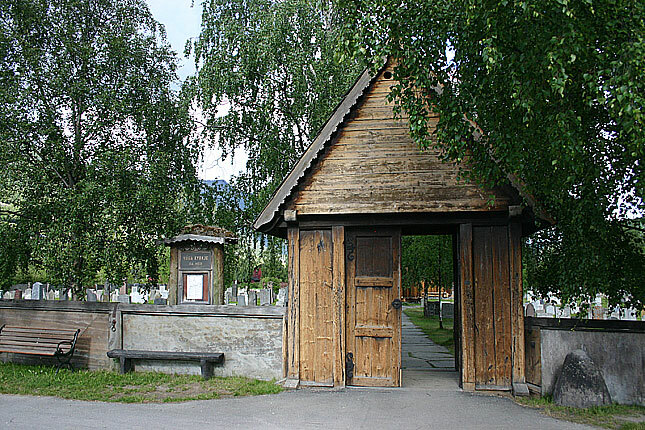 It is believed that the church was originially surrounded by a circumambolatory passage, like many other Norwegian stave churches, but that this passage was removed when the two side wings were added. A few Runic inscriptions can be still be seen in the church. 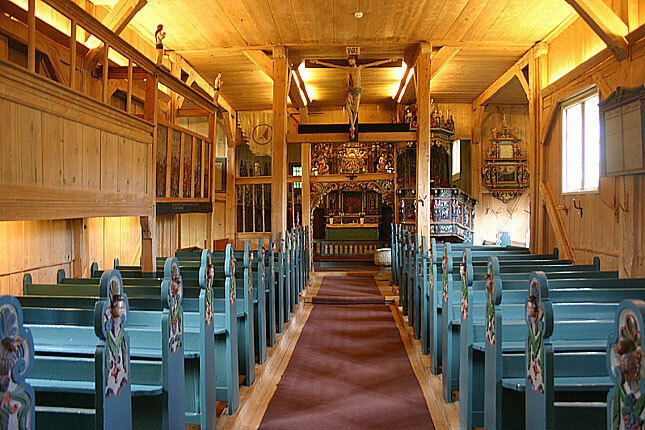 The church also contains numerous paintings from the 17th and 18th centuries with religious motifs. 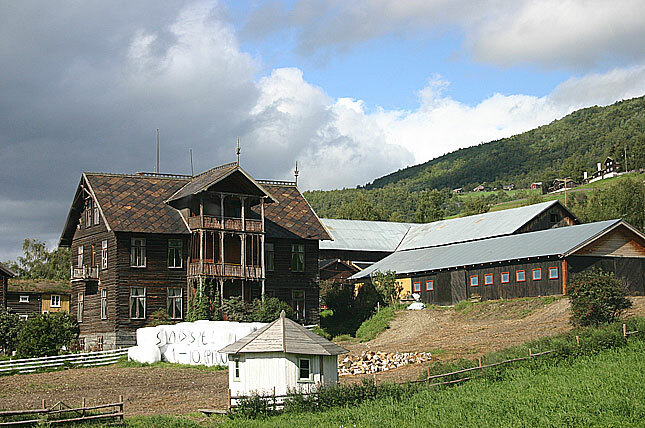 Many of the paintings were made by local artist Eggert Munch, a distant relation of the famous Edvard Munch. The church also contains numerous examples of local woodcarving, as seen in the elaborate acanthus scrolls adorning the pulpit. Carved dragon figures on the roof are old symbols of protection against evil. 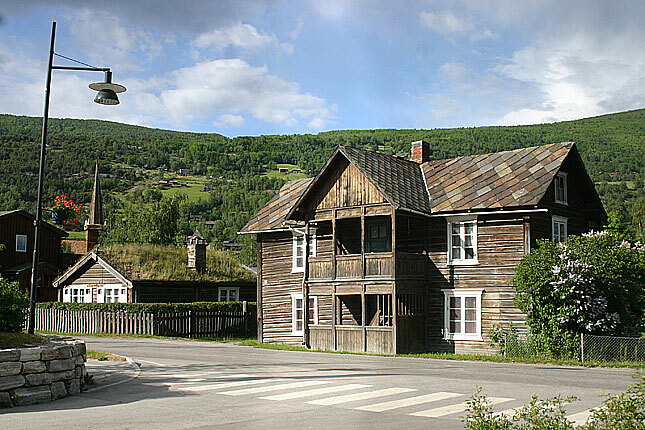 It is still in use as the local church.